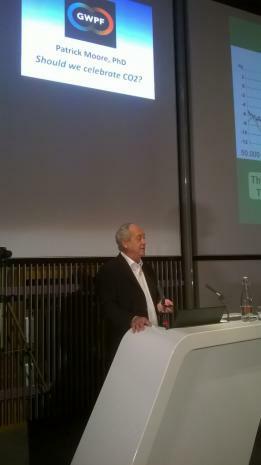 Patrick Moore: Should We Celebrate Carbon Dioxide? Yet today our children and our publics are taught that CO2 is a toxic pollutant that will destroy life and bring civilization to its knees. Tonight I hope to turn this dangerous human-caused propaganda on its head. Tonight I will demonstrate that human emissions of CO2 have already saved life on our planet from a very untimely end. That in the absence of our emitting some of the carbon back into the atmosphere from whence it came in the first place, most or perhaps all life on Earth would begin to die less than two million years from today. Founder of GreenPeace calls AOC: "Pompous little twit"